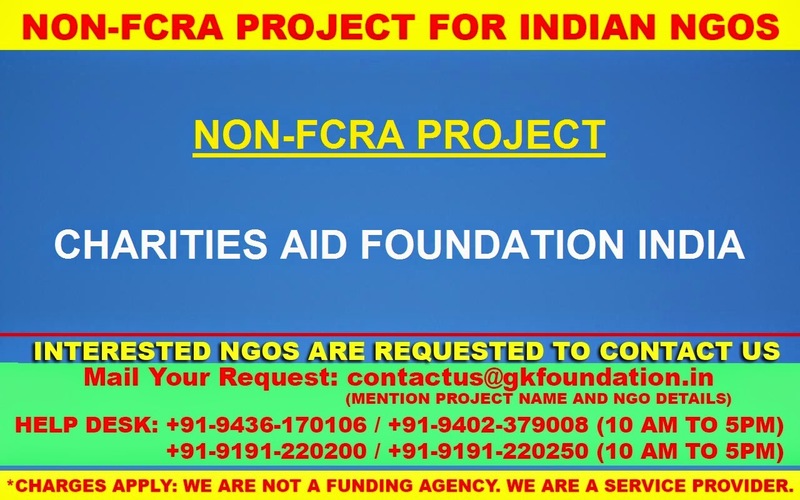 CAF India invites concept notes for grants from NGOs working in giving solutions to people facing challenges in Indian society. It encourages Indian NGOs who help in building a society motivated to give more effectively, transforming lives and communities around the world. CAF India provides strategic and management support to corporates, individuals and PSUs to ensure greater impact of their philanthropic and CSR investments. They design and deliver community investment programs that helps build your philanthropic future. * Applicant must forward a concept note mentioning NGO name, project title and cause in the subject line.